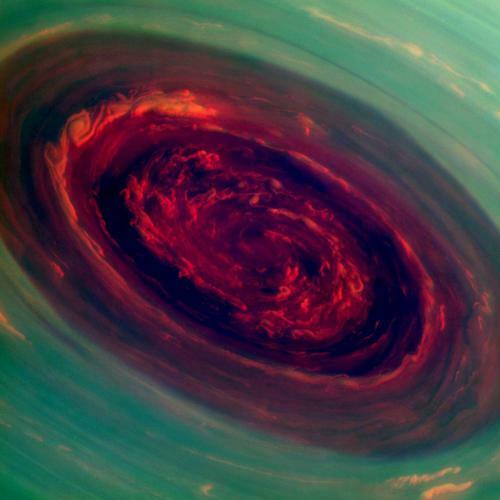 Spectacular new images from a NASA spacecraft orbiting Saturn have captured the most detailed views ever of an enormous hurricane churning around the ringed planet’s north pole. The stunning new images and video of the Saturn hurricane, which were taken by NASA’s Cassini probe, show that the storm’s eye is 1,250 miles (2,000 kilometers) wide — about 20 times bigger than typical hurricane eyes on Earth. This entry was posted on April 30th 2013 at 3:27pm/15:27 and is filed under Live News Column 1. You can follow any responses to this entry through the RSS 2.0 feed.